Albuquerque, New Mexico – March 23, 2016: Optomec, a leading global supplier of production-grade additive manufacturing systems for 3D printed metals and 3D printed electronics, today announced its Aerosol Jet technology is being used by LITE-ON Mobile Mechanical SBG (LITE-ON) for high-volume production of electronic devices. LITE-ON, a global contract manufacturer, has pioneered a 3D Direct Printing (3DP) solution that enables 3D antenna patterns and other functional electronics to be integrated into virtually any mechanical structure or cover – maximizing design flexibility, ensuring optimal placement and performance, and allowing slimmer product designs. LITE-ON first purchased Aerosol Jet technology to develop prototypes for its OEM customers, which include world leading communication device, personal care and automotive brands. The digitally-driven Aerosol Jet based 3DP process provides full design flexibility, with quick iteration and minimum lead-time for last-minute changes. 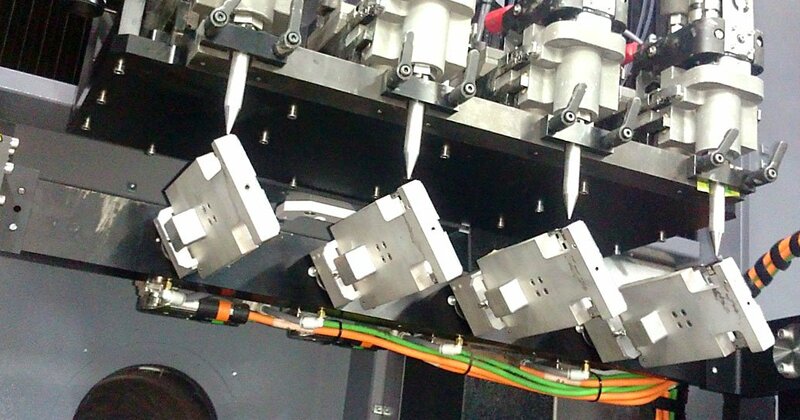 After successfully implementing Aerosol Jet in prototype environments, LITE-ON expanded its usage and has now deployed multiple production machines in Guangzhou, China, operating 24×7 printing conformal electronics onto millions of consumer devices. Since the 3DP process requires no plating or special resins, logistics are simplified and production costs are lowered. The open architecture of the Aerosol Jet hardware allows configurations to be optimized for specific production needs. The implementation at LITE-ON leverages a series of Aerosol Jet print modules spread across multiple 5-axis motion platforms, configured to handle common smartphone and tablet form factors. Each machine is able to print a wide range of common electronics materials, at a rate of millions of units per year, enabling next generation applications in consumer electronics, automotive, aerospace, and smart IoT devices. Click here for video. As a subsidiary of Lite-On Technology Corporation, Mobile Mechanical SBG (previously Lite-On Mobile) is a global leader in mechanical solutions and services for the automotive, personal care, and communication device industries. Its service offering covers the whole product lifecycle from planning, conceptualization, and designing to tooling, manufacturing, assembly, and testing. Mobile Mechanical SBG’s world-leading expertise lies in visual metals, plastics, and antennas, and their integrations.